The Deko 25ix Dental Washer has been designed to bring reliability, outstanding cleaning and disinfection performance and quality into one compact and economic washer-disinfector. 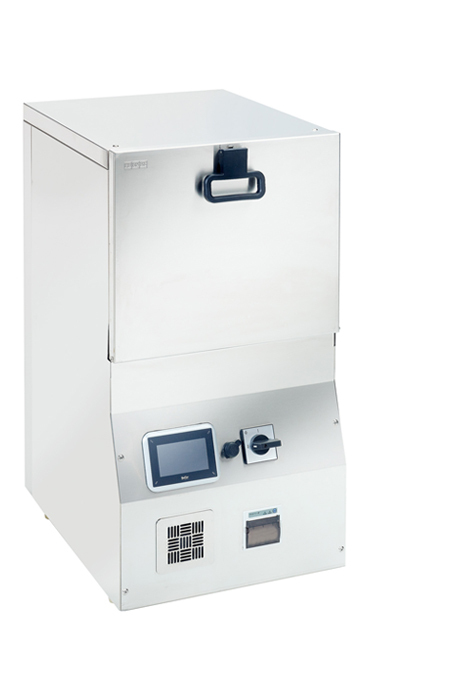 The Deko 25ix can be situated on a dedicated DEKO stand accessory or a cabinet, as wells as, be positioned undercounter. The DEKO 25ix meets the performance and design requirements stated in EN ISO 15883 parts 1 & 2, as well as the safety requirements stated in IEC 61010-2-040.
wash racks to facilitate the washing of cannulated instruments, dental handpieces, hoses, glassware and rigid scopes. 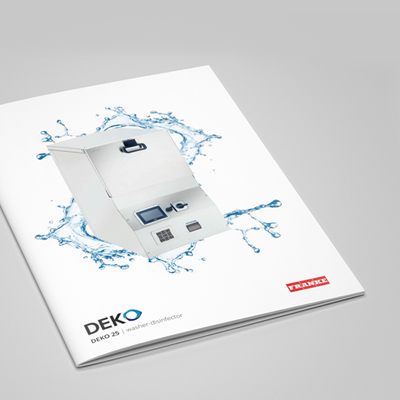 The Deko 25ix comes as standard with pre-set programs installed and protected, however additional tailored programs can be added to meet any process requirements such as dental or laboratory use. The washing spray patterns are delivered through two rotating spray arms or utilising jet rack connectors and guarantee water contact with all surfaces and crevices of instruments with the most intricate design. 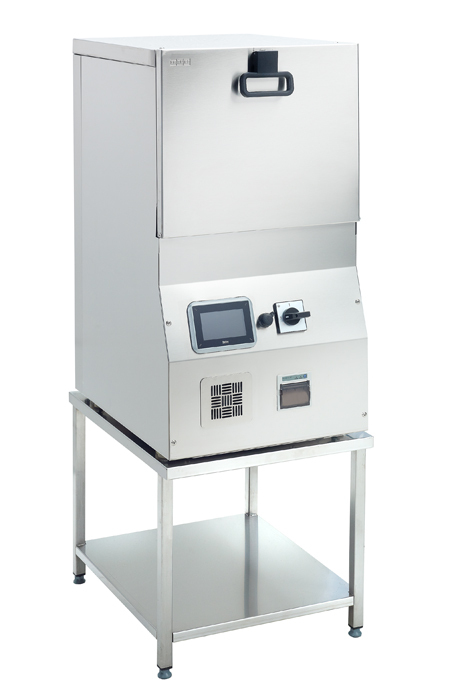 The DEKO 25ix presents the latest technology in user interface applications in washer-disinfectors. Information & control panel provides the means to view cycle information real time and view the remaining cycle time. Also included is an automatic cycle counter and the intelligent software provides advice on service actions. The DEKO 25ix’s door opens & closes smoothly and is locked securely throughout the cycle by the automatic locking system. The clear text on the display and the cycle complete indicator will inform the operator when the cycle has been completed. 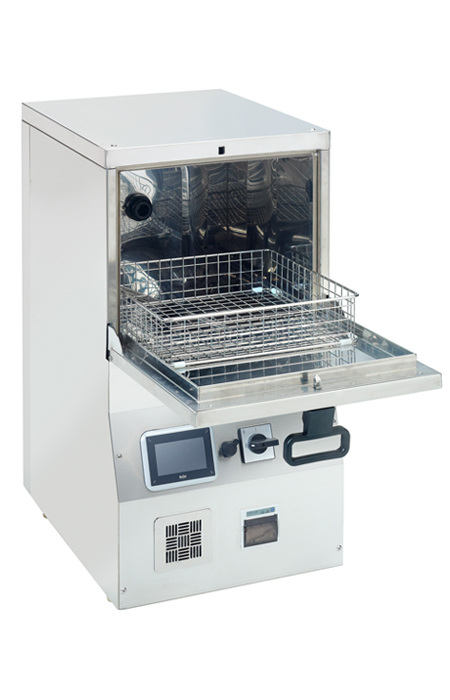 The in-built condenser prevents the escape of excessive steam and minimises the moisture within the chamber at the end of the cycle. The advanced electronic control system can provide practically an unlimited number of tailored cycles with the 3 most used cycles available at a touch of a button and additional ones by scrolling. 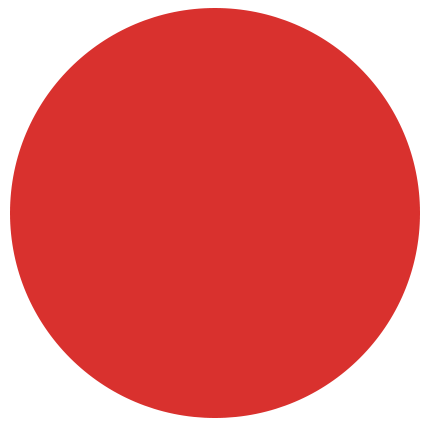 Process parameters are protected by security codes. The machine is facilitated by a 3 level access code to prevent unauthorised use of the machine. Protection to thermo-labile medical devices is provided by a double overheat protection. 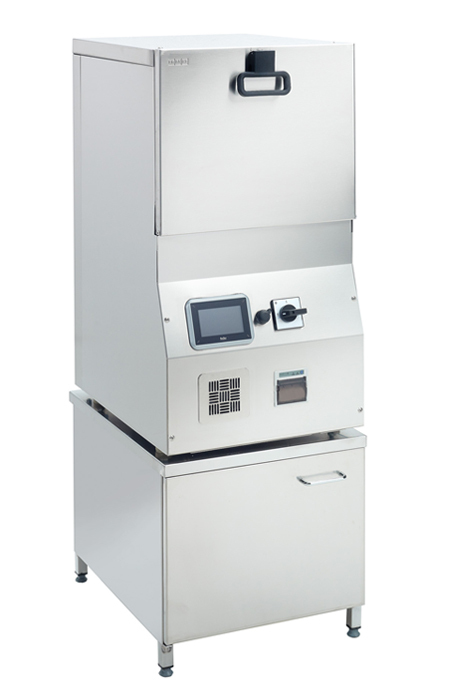 To achieve the outstanding, consistent cleaning efficiency the washer disinfector monitors the detergent volume very closely as well as preventing the washer to start if there is insufficient detergent volume to complete the cycle.